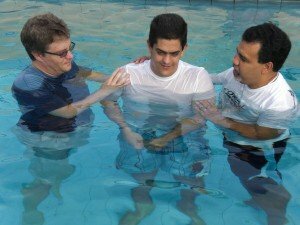 The evangelism news this week centered around the decline of baptisms within the Southern Baptist Convention. 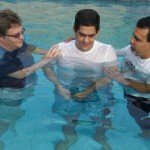 A decline in baptisms, no matter the denomination or church tells me that personal evangelism is not happening. One key feature that I’ve observed in the podcast of these growing churches is the regular appearance of some kind of life-changing testimony. Why someone started to follow Christ. Stories of how program / preaching series made a difference. With each one of these testimonies, the pastor affirmed the congregation and reinforced the values of personal and corporate evangelism. This brings me to Key #2 in our series: 5 Ways a Pastor can raise the Evangelistic Temperature of the Congregation. In these podcasts, the pastor gave some of sermon time to let people tell their own story. I listened to them and made the following observations. Some were given by video, some were given live. It is clear that the videos were edited to tell the story in a compact form, and likely the individuals were coached in how to tell their story in a few minutes. Many people are nervous giving any kind of talk, so some intentional preparation of live speakers likely was made. 2. Testimonies were on topic. If the sermon series was on acts of grace, the story was about an act of grace that transformed a life. If the sermon was on prayer, the story was how someone experienced an answer to prayer, often through the anonymous involvement of a church member. 3. The pastor congratulated the congregation. For our purposes, this is the most crucial point. These stories are the fruit of the congregations evangelism efforts. When the testimony was over, the pastor would say something like: “Isn’t that awesome to see how God . . . . ” Often there was some spontaneous applause of thanksgiving. Then the pastor helped the congregation see it’s role in that person’s story and then praised them for cooperating with God, praised them for their invitations, praised them for serving and answering prayer. Those words of affirmation continue to reinforce the role of all aspects of evangelism – the fruit of the labor. Two particular celebration events come to mind. As individuals come to faith in your church, let them tell their stories. Baptisms are a memorable time to tell stories. People can see and celebrate life change. People can partly identify with stories of others walking through the same circumstance. Celebrating Baptisms can be a great time to remind your church of the role they played in God’s work. If your church does those publicly, these can be another time of highlighting the transforming grace of Jesus Christ. Since I do a lot of thinking about hospitality and welcome issues, I often learned before hand why did these new members choose to stay. Invariably, one key factor was how they were welcomed as a church visitor. This would be a time to congratulate the congregation on doing a good job on welcoming the visitor. Look out over the next 6-10 weeks of your preaching schedule. Are there baptisms / new member events scheduled? Do you need to organize such a celebration? Look out over your next preaching series or two. Are there people in your congregation that are growing in an area of your preaching topic whose story would make for a good testimony? Schedule a testimony that is related to your topic. Work with your video team to get a story, or work with the person to tell their story. March 6, 2010 we’ll be celebrating 4 adult baptisms! We’re turning it into a big celebration of God’s work of redemption. 5 Ways a Pastor can raise the Evangelistic Temperature of the Congregation. Can’t remember to come back each day? Get the article automatically by choosing one of the subscription options to in the right side bar of the main blog site. What a joy to celebrate this occasion. As I have grown in ministry, I’ve come to treasure this sacrament and it moves me deeply when I see adult converts take the waters of Baptism. It’s a great privilege as a pastor and evangelist to be involved in moments like this. Baptism is what done looks like in personal evangelism. I got the following story via email in response to the most recent Evangelism Coach Newsletter. With the author’s permission, I share it here as a guest article while I’m away on Evangelism Training Ministry in Nicaragua. Of course names are changed for privacy. The photo is a different friend of mine conducting a baptism. I appreciate the challenge I receive from your writings. It seems that I was rather disengaged on the evangelism front this year. I’m not exactly sure why. I suppose it doesn’t matter why as much as how can 2009 be better. It all begins with faithfulness. Will I live a life of determined obedience or not? I must say that for me 2008 ends on a high note. Nearly two months ago, a man–Sam–who I hadn’t seen in church for a year just showed up. I didn’t know Sam well, but shortly after he briefly attended church (the previous year), I was prompted to stop by his home and give him a Bible. That was the last I saw of him until he recently stopped by church. I asked loads of questions, engaged another friend, and we prayed with Sam. The prayer focused on Sam’s current problems. Only later in the day did I recall his statement about needing God in his life. A couple days later, I scheduled coffee with Sam. We went. I asked about his statement. Yep . . . he was looking to accept Christ. Dah! Anyway, right then and there Sam did invite Jesus into his life. The Holy Spirit had prompted him to verbalize his need for God. And, the Holy Spirit continued to engage him, which resulted in a faith commitment. Certainly, there was a party going in heaven. On earth my friend Sam and I were pumped too. So . . . back to ending 2008 well. Tomorrow, Sam will be baptized in our church. Sam has three boys and a wife. Maybe 2009 will be the year for his entire family to come to Christ. This time I’ll be listening well. I promise! In cooperating with the Holy Spirit in evangelism, we get these nudges every now and then. My friend was attentive to one. Leaving the Bible with Sam was a gift that eventually led to his return to church, his conversion as an adult, and the celebration of his baptism. Did you see how “I need God” is an evidence of that Spiritual Thirst? See also Pastor White’s video Testimony: Can Pastors find time for Evangelism? As you go into 2009, how can you develop that skill of listening to the promptings of the Holy Spirit and cooperate with God’s work in Evangelism?